Car Battery Replacement: Cheapest for Varta, Century and more. Heidelberg Batteries? Call Every Battery Melbourne. Need a car battery in Heidelberg or a mobile phone battery? We sell ALL types of battery, and can deliver and fit your replacement car battery or you can save money by collecting and fitting it yourself. Call us, order online or visit your nearest store at 50 Bell Street, Heidelberg. Camera Batteries to suit your compact digital camera, or the latest Digital SLR. Great prices, charged and ready to go! Car Batteries, Bike Batteries, Huge Choice. Buy Online, Collect from Store and Save, or we test and fit. and Batteries for Telstra phones. 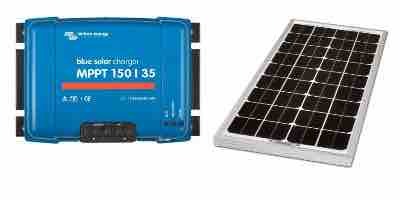 Solar Panels in stock for Camping, Motorhomes and RV. Big Savings on Mono-Crystalline Folding Panels, plus Solar regulators and cabling. Replacement laptop battery packs for Acer, DELL, HP-Compaq etc. High-Quality replacements. CTEK, Matson, Projecta and Others, in 6v, 12v and 24volt. Chargers for Cars, Deep Cycle, Phones, AAA etc. Sony, Nintendo, Apple iPod etc. Custom made power packs and new cells for your Power Tools, Cordless drills, Exit-Light Battery Packs etc. Ni-CD, Ni-MH, AA, AAA, 9V and Medical Batteries, Industrial batteries, 12v Sealed Lead Acid, UPS, Alarm systems, Coin Cells etc. FREE DELIVERY on Sony, Canon, Kodak, Panasonic, JVC and other makes and models. Quality replacement batteries. Why buy from Every Battery Melbourne? Your local "Every Battery" team sells a huge range of Batteries, Battery Chargers, Solar Panels, Regulators and battery accessories at the best prices in VIC. We are fully independent, which gives you the widest choice, the best advice and best prices on..